First click on the icon with the tree to insert the image. 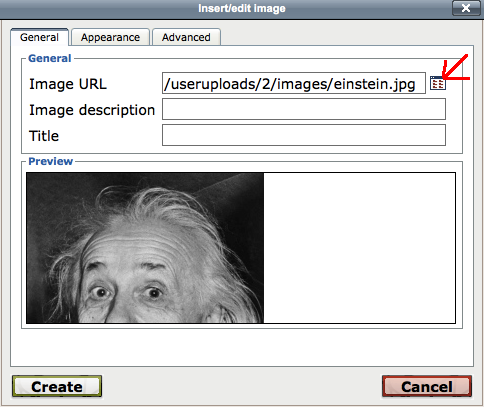 Click on the icon behind File/URL to upload an image. You will need to click on the tab “Upload” and after you uploaded it go back to “Browse” where you can choose to uploaded file to insert. You can click on the tab “Appearance” to align your image left or right of the text and add some space between the text and the image.